My local comic store was shorted their copies of Dream Thief #4 this week, but I did manage to grab an issue elsewhere today. And here it is, in hand! 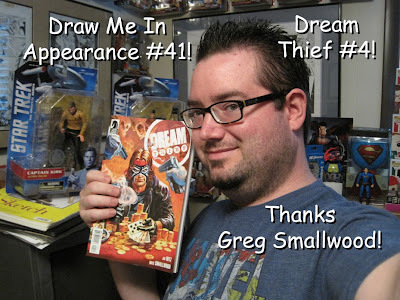 Thanks Greg for being my comic book bud through all these years, and hopefully many more years to come! I'm happy for ya and appreciate all that you've done!